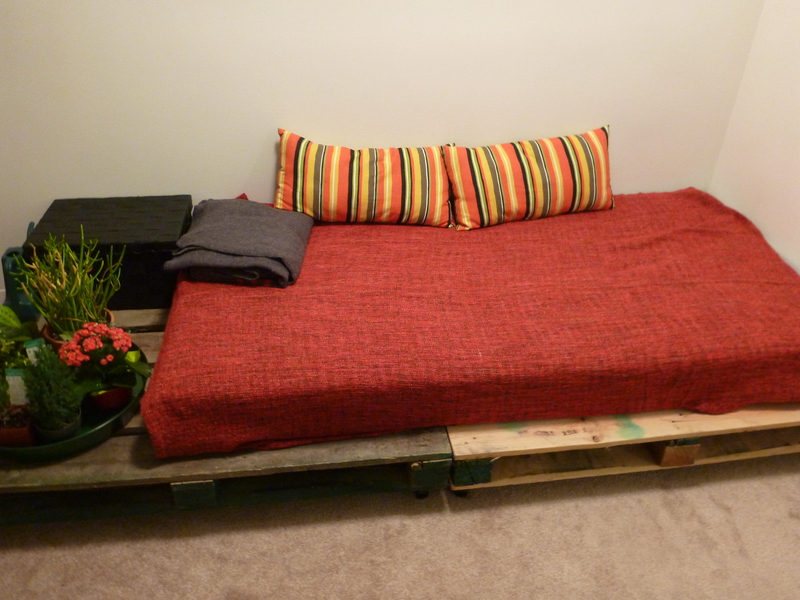 A couple of old wooden pallets can be easily transformed into a cosy daybed. Confession time: I’ve never been a particularly crafty or artistic person. I’d love to think that I’m just a late bloomer, but unfortunately, I think perhaps I just don’t have the vision –– or patience –– to really see a project through. That being said, I love design. I learnt a lot about the topic when writing for a lifestyle magazine in my former life as a journalist in Australia. Thankfully, it was a role where I discovered other people’s amazing ideas, rather than having to come up with all the creative concepts myself. Even so, I definitely caught the design bug. Or to be more accurate, I came down with a serious case of design envy. Even though I’ve left magazineland behind, I still find myself regularly trawling through some amazing design blogs, just to get my fix. My favourites include Design*Sponge, The Design Files, Decor8, Desire to Inspire, The City Sage, Apartment Therapy, Dwelling Gawker, Young House Love… not to mention online magazines, like Adore Home and homelife.com.au. Pinterest is a whole other story – it’s way too overwhelming for me. Lately, I’ve realised that there’s nothing actually stopping me from having a go at design and DIY myself. So, thanks to inspiration from Grace Bonney’s gorgeous book Design*Sponge at Home, Mr Midday Musings and I decided to start our first real DIY project – a pallet daybed. 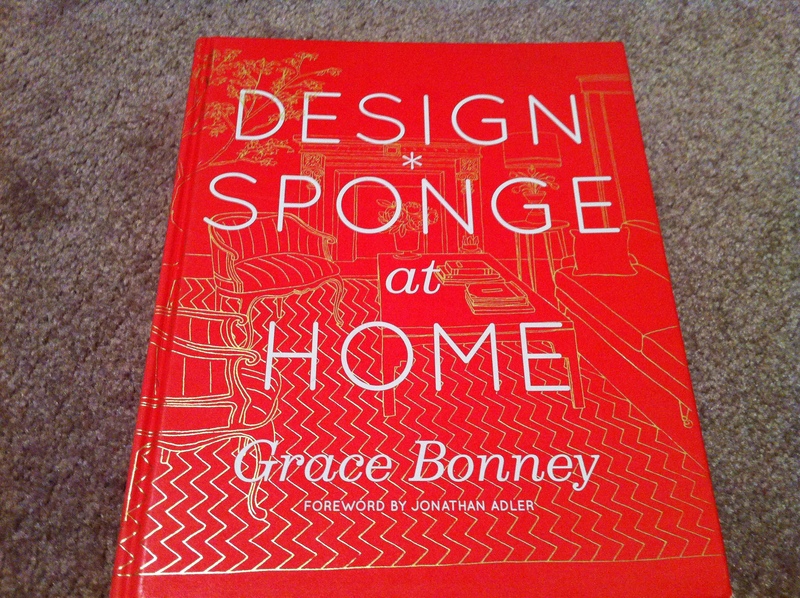 Grace Bonney’s design book is an excellent source for beginner’s DIY. The project, like most DIY ideas, was actually born out of pure necessity. Our apartment is fairly typical for Vancouver, in that it’s an older, awkwardly shaped, one-bedroom apartment that we chose more for the location than the aesthetics. The kitchen is tiny, but the living room is somewhat oversized, which has meant decorating has been a slow process, based on whenever we have the budget and inclination to fill it with furniture. I recently moved the kitchen table about as far away from the kitchen as it can go to make the most of our lovely view over English Bay, but that left a large, blank expanse of beige carpet (gotta love rentals). We already own a couch, and didn’t really want to spend too much money, but thought a lounge-y kind of area would be useful. I also love having plants indoors, and so the daybed area started to take shape. We started with two old wooden pallets. You can buy them at timber yards, or trawl through Craigslist for people giving them away – or, do what we did, and check the back of your local liquor store for second-hand ones being thrown out (it’s a good idea to ask the owner first though!) Pallets come in all sorts of wood finishes, or you can sand them back to create something more uniform. I personally prefer the weathered look, so we have kept ours pretty much how we found it, discoloured wood and all. From there, we went to our local hardware shop and picked up some caster wheels and screws. Ideally, you should use one for each corner of each pallet (8 in total). While you could probably get away with less, you’d need some kind of supporting beam in the middle to avoid the bed sagging when you sit down. Mr Midday Musings used a cordless drill to screw the caster wheels on. Finally, you need a single mattress, or foam, to act as your “bed”. We couldn’t’ find anything decent on Craiglist and in the end just picked up an IKEA single mattress that we covered up with a cheap throw and some colourful cushions. 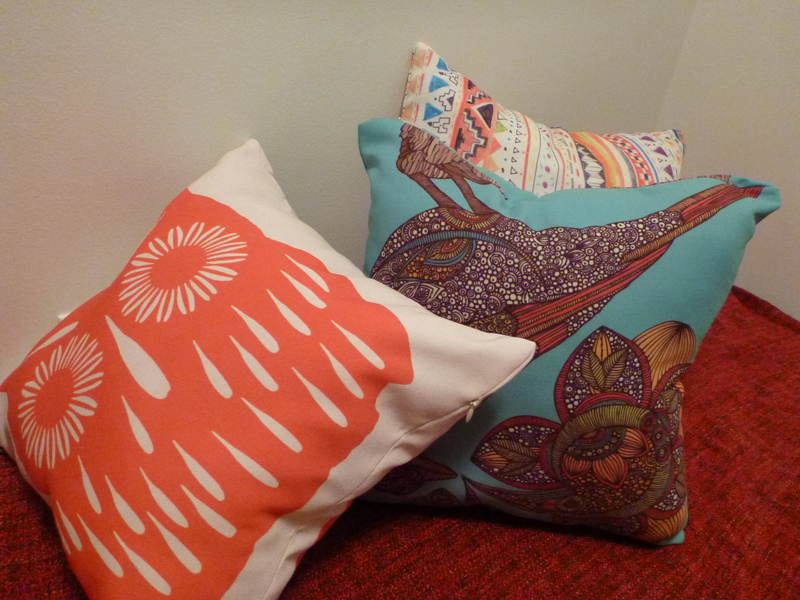 Cushions add a splash of colour. The bed doesn’t take up the whole of the pallets, leaving a nice sideboard that we’ve turned into an indoor garden and storage spot. You could also make a herb garden, or bookshelf – whatever floats your boat. 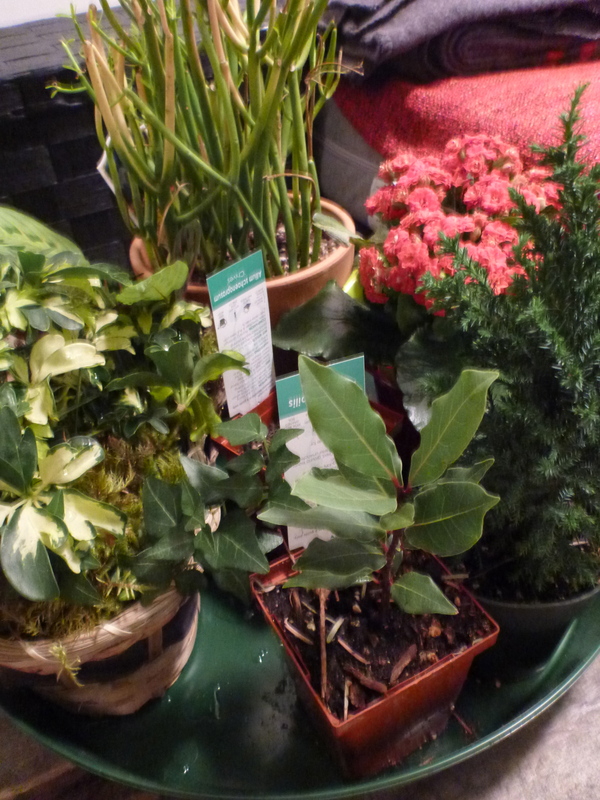 Indoor greenery helps keep the house feeling fresh – especially in rainy Vancouver. Hang some artwork above, and voila – instant chillout area. You can almost forget about the wall-to-wall beige carpet. Almost. 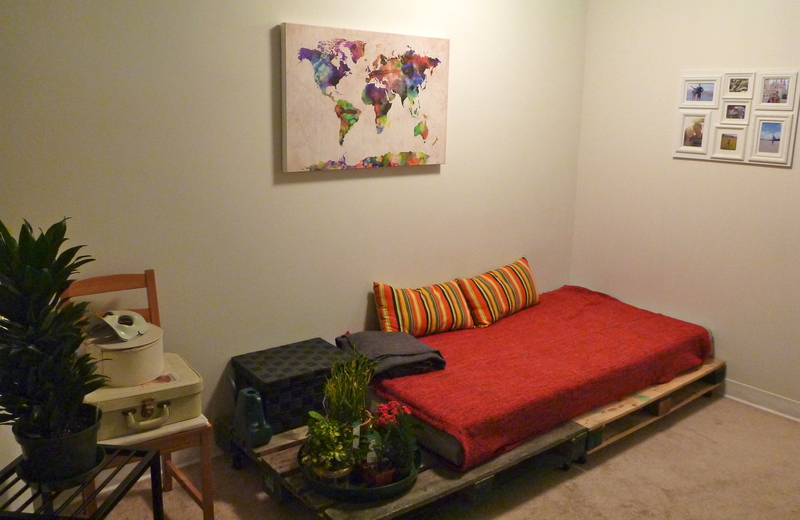 The pallet daybed is an easy, and relatively cheap, alternative to buying a couch.